Bandai Namco announces Switch support. Bandai Namco has announced it is bringing Dragon Ball Xenoverse 2 to Switch. A release date has not been decided. The company also said it has plans to bring the Tales of series, Taiko Drum Master series, and more (further series not named) to the platform one after the other. Dragon Ball Xenoverse 2 (Working Title), the most expansive Dragon Ball videogame experience to-date, will be making its way to the Nintendo Switch system for the Americas. 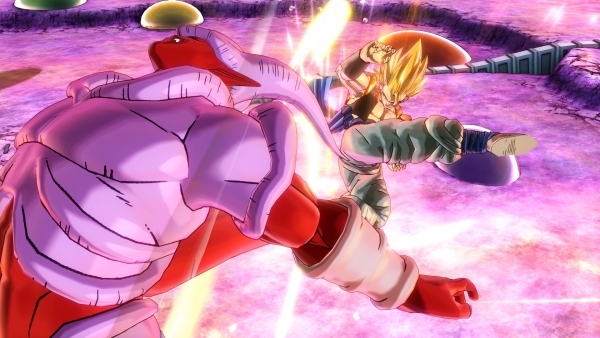 Nintendo Switch players will be able to experience many of the adventures and epic battles that make up the heart of the Dragon Ball Xenoverse 2 gameplay experience. Nintendo Switch players can also look forward to sharing their Dragon Ball Xenoverse 2 experience through local co-op gameplay, enabling players to share their Dragon Ball adventure with friends. Bandai Namco Entertainment America Inc. will share more details soon regarding the debut of Dragon Ball Xenoverse 2 (Working Title) on the Nintendo Switch. Stay tuned!